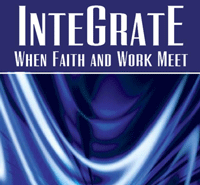 InteGratE is a low-key and helpful event he’s put together at his church (The Chapel in Akron Ohio) on March 7th which attempts to take the vision and whole-life discipleship perspective of the CCOs Jubilee conference, into the ordinary, local congregation. Can we name and explain a Christian view of the work-world, holding up God’s care for and interest in marketplace and shop floor, medical center and office cubicle? Can we help church folk learn to serve creatively and faithfully (as some obviously already are) in areas as diverse as the building trades and town council, from public school classroooms to the civil courtroom, from careers in journalism to jobs in corporate sales, from blue to white to pink to no collar callings? Indeed, as we challenged students last week at Jubilee to relate their faith and their academic majors, thinking in Biblically-informed ways now as they prepare for callings and vocations in their future careers, Bob wants to help equip adult Christian lay people to live out their spirituality in the 9 to 5. Jesus is Lord of all of life, after all, eh? The InteGratE event will sell these kinds of books, and more. We’ve consigned them titles on art, business, science, engineering, sports, home-making, politics, law, medicine, etc. Here is wonderful brief short article (complete with discussion questions) that Bob did to prepare folks to attend this great event on a Christian perspective on work. You can read the excellent additional portions here, here, or here. We are so impressed with this upcoming event that we invite you to consider going if you live anywhere near Eastern Ohio. 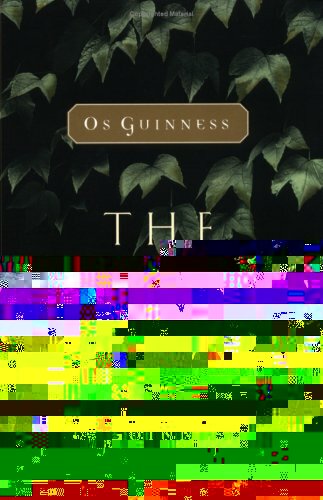 Guinness give lectures which later because the must-read book The Call: Finding and Fulfilling the Central Purpose of Your Life (Nelson; $17.99.) You should know that it is one of my all-time favorite books, one I come back to often. If you haven’t read it, do consider ordering it. Happily, Bob will be featuring the Guinness book at his event, too. It really is a classic in this field, and I pray that folks at The Chapel event pick it up. 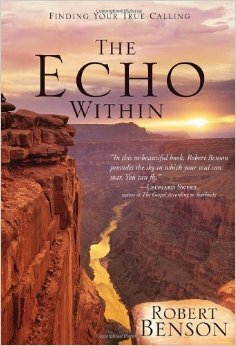 Although it is a classic, and lays the essential foundation for any serious thought about relating faith and work or vocation and career, a brand new book by the truly luminous writer Robert Benson just came out in a slim hardback, nicely titled The Echo Within (Waterbrook; $14.99) Not quite as mystical as Parker Palmer’s moving Let Your Life Speaking: Listening for the Voice of Vocation (Jossey-Bass; $18.95), the new Robert Benson has as its subtitle “Finding Your True Calling” so it is moving in similar terrain. He is a man who is both practical and contemplative, deeply serious yet quite humorous, and it seems he here strikes just the right balance, with his honest reflections on his own struggle to discern what God has for him, how to say “yes” to the process of sensing God’s pleasure in one’s work, and how to discovery your own vocation. The keynote speaker at the Ohio InteGratE conference is Michael Wittmer, whose book Heaven Is A Place on Earth: Why Everything You Do Matters to God (Zondervan; $16.99) explores a Christian worldview as clearly and pleasantly as anything we know. Reflecting on the unfolding Biblical narrative–creation-fall-redemption-restoration—Wittmer’s book is packed full of ideas, discussion questions, application points and provocative theology that is at once assesable, interesting and a bit provocative. Do you really think much of the glorious future of heaven coming to Earth (Revelation 21 and 22) and that it includes a bodily existence, where we worship as we work? Do you think “everything you do matters to God?” This is highly recommended for anyone seeking an integrated lifestyle where convictions and character are one, where praise and politics are seamlessly related, where work and worship are part of the same whole-life lifestyle of making much of God by serving His Kingdom in all that we do. The audacity of hopefulness? Try imagining heaven on Earth! Heaven is a Place on Earth will help. mp; Minds, but is so important for our readers, I’m eager to hook you up. I’ve mentioned last week’s tremendous Jubilee conference, with the plenary speakers, musicians and workshops galore (even one that I did, on the significance of reading, raving on some Biblical/spiritual reasons for reading widely and being a life-long learner.) You can order CDs or MP3s of most of these talks, even DVDs of a few, by visiting IND Duplications who were cool enough to drive from Atlanta to Pittsburgh because they believed in the significance of this Jubilee worldview stuff. IND has free shipping, too. Check ’em out, to see what they have (at reasonable prices)— the famous speakers (Andy Crouch, Lauren Winner, Bill Strickland, Tom Sine, Kelly Monroe Kullberg, Paul Marshall) and the lesser knowns but often brillant (ahem, ahem) on topics such as a Christian worldview in contemporary culture, engineering & technology, theater, law, social justice & urban ministry, modern art, film-making, race, creation-care, politics, sexuality, immigration issues, missional church planting, sports, apologetics, urban education, faithful ministry with the GLTB community, what Muslims believe, journalism, psychology, reading, business, the high school-to-college transition, the work of Wendell Berry, the role of theology, fighting sexual trafficking, new urbanism, social justice & worship music, and much more. Going to InteGratE in Ohio would be fabulous (you’d get, at least, to meet Bob Robinson and hear Michael Wittmer.) But buying a couple recordings of these major addresses and breakout session discs could be a whole new learning experience for you. If the speakers mention any books (as some surely do) you know who to call. Thanks. great posting as always! look forward to reading the Benson book soon—thanks for the rec. I sure wish I could be up there with you all.